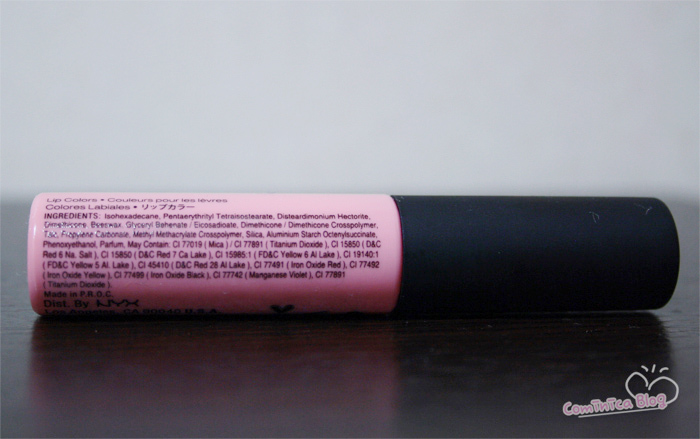 Neither lipstick nor lip gloss—this is matte lip cream. A new kind of pout paint that goes on silky smooth and sets to a matte finish. also moisturizing. Available in 11 lip colors. CI77499 (Iron Oxide Black), CI77742 (Manganese Violet), CI77891 (Titanium Dioxide). 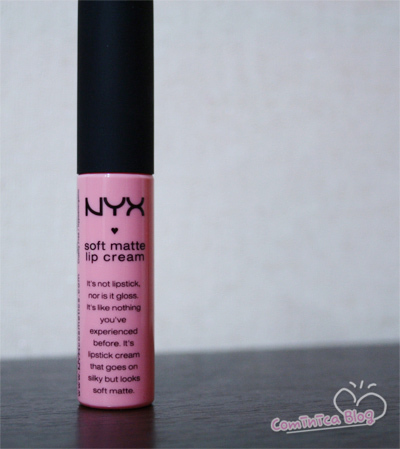 This shade is perfect for gyaru make up! Put a lipgloss to add fuller lip look! It has a sweet cake smell, sooo lovely! It doesn't feel greasy or dry on my lips. It looks great on your lips love!!! Thanks for sharing! lucuuu banget warnanya. jadi kepengen, berapa sis harganya?? Oh wow ♥ love the color! And you've got gorgeous lips!! Really like the color. It looks really pretty on. Your lips look so pretty! :) NYX is a good brand. Such a pretty color! I just recently bought this and I want to try it out more. yeah i love NYX ! I really love the color it's just so smooth looking! i hope they have it at the NYX in the city~!! OMG I love your hair it's perfect! Especially your lips oooh so cute! wow!! i agree perfect gyaru lip color! !